1. 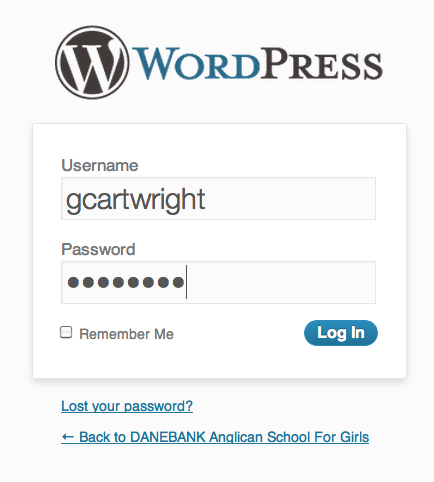 Click on the “Careers Bulletin” icon on your desktop, or on the address http://www.danebank.nsw.edu.au/dashboard-login and type in your username and password, then click ‘Log In’. 2. 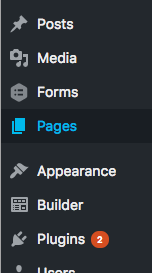 In the left menu, click on the ‘Pages‘. 4. In the top right of the text box in the middle of the screen, click on ‘Visual’. 5. 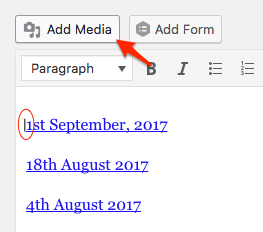 Click at the start of the first line, so that the flashing text cursor is just before the first letter of the previous bulletin (circled in red below as an example). Then click on the “Add Media” button as shown below. 6. 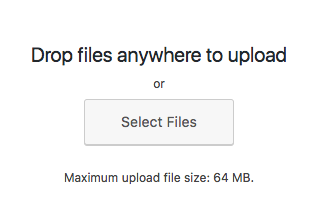 Click on the ‘Upload Files‘ button and then click on the “Select Files” bitton. Locate the file you wish to upload then click OK.
8. 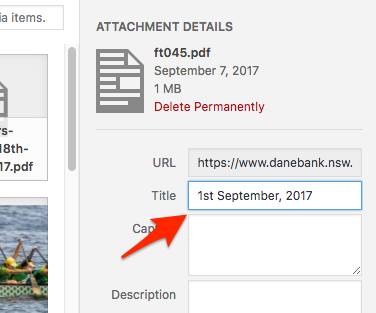 The new bulletin link will appear on the same line as the previous one with no space in between (as demonstrated below circled in red). Click between the last letter of ‘bulletin‘ and the first number of the previous bulletin, then press ‘Enter‘ to move the old bulletin to the next line. 9. 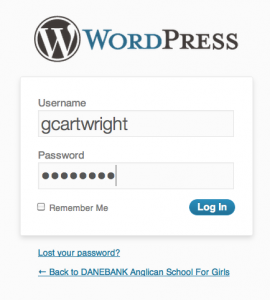 On the right hand side you will see the ‘Publish’ pane, click on ‘Update’ (circled in red below). You can now close this webpage and go to the careers page to see the new updates. 10. 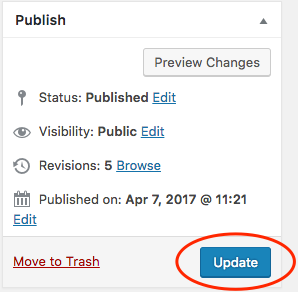 Make sure it displays “Page Updated”, otherwise hit “Update” again. Wait for the little round circle to disappear next to “Update”.